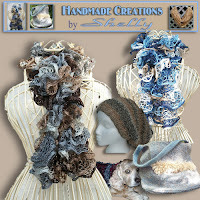 This weeks Featured Artisan is Shelly - Handmade Creations by Shelly. Wonderful knit fashion accessories and more are found in her shop. Bad news if you have a non-blogger website or blog that you have Google Friend Connect (GFC) added to. On March 1, 2012, the GFC will disappear from NON- Blogger sites. Don't panic. With the addition of Google + pages, you have until March 1st to get your followers to "+" your page. All you need to do is create a Google + Page for your business or site. It's not difficult to do. They have even made a Google + Badge for you to add to your blog. Even Blogger blogs can use this. You will see mine to the left. Google + I think will be around awhile as it gains momentum and users figure out how best to utilize it. Even I am still learning. The feature I like best is the Circles. Segmenting is just perfect for marketing. You can choose what Circles to share certain information with. If you're interested in learning more about Google +, let me know and I'll be happy to write up a post about it. Theory, explanations, and examples of how to use it. Keep your eyes open and start +1 as you come across the button. Read about all the other gadgets Blogger will be retiring. 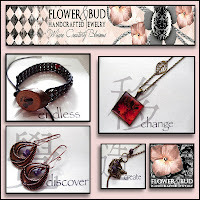 Debbie also has a shop called Flower and Bud Jewelry on Etsy too! Wanted to share the shipping deadlines for the Holidays and spare you the trip to USPS.com. 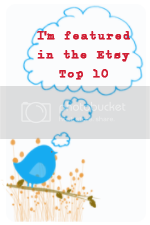 Time for November EtsyBloggers Featured Artisan and Blog Carnival. Etsybloggers is the official Etsy team for those who love to blog about their craft, the creative process, and other Etsians. Magdalene Jewels is the featured blogger this month. She has two Etsy shops, one a jewelry shop, the other a knit shop. Magdalene uses a lot of Swarovski elements in her pieces. 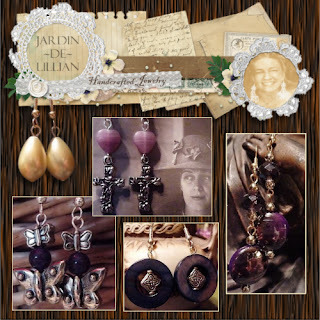 All of her pieces are so different, you have to look at each page in her shop to make sure you don't miss anything. 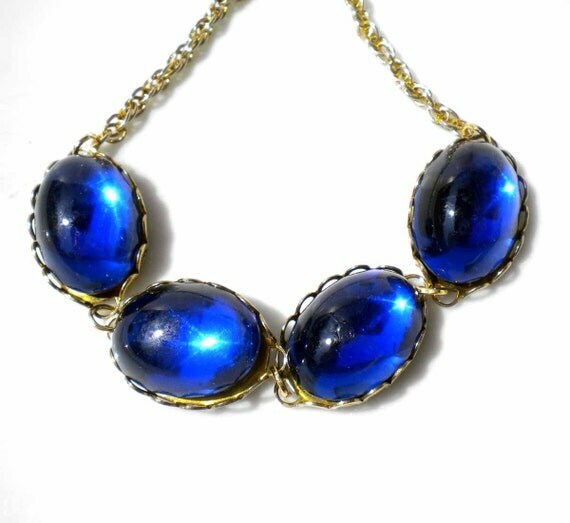 I found this vintage Garbo inspired bracelet. In Magdalene Knits, you'll find yourself indulging in soft billowy hand dyed and hand spun yarn creations. They're perfect for baby. 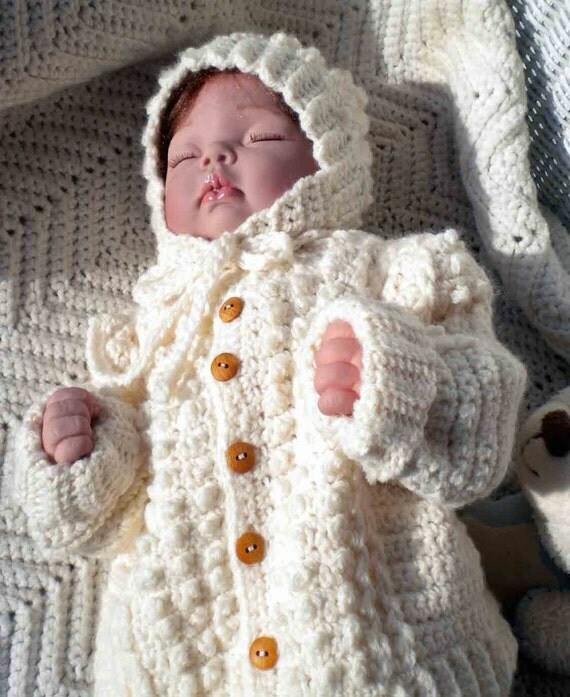 I love this Irish Knit Sweater for Newborns Infants or Toddlers. She'll custom make items for you too! You can also find neck warmers, slippers, and gloves. Magdalene also maintains two blogs in which her blog consists of stories and blogs about everyday life; her family, friends, and friends from Etsy. She also posts Monthly Favorites, which will be found on both of her blogs. Join the Supportive Handmade Group that is On Fire for Handmade. I have some vintage accessories that I wanted to share with fellow crafters that like to create art with vintage and useful accessories. We are cleaning out my grandmother's estate and came across some ties, scarves, and a vintage sequin corsage. I know my crafting friends may find a use for them. 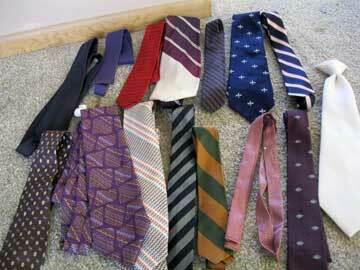 If you are interested in any of them, please let me know and I'll send you a PayPal invoice. Prices include shipping. I subscribe to PRWeb. I received this email recently and it was so timely as a pal on Facebook, Hide A Heart, asked a question on Facebook to all her friends for help writing a good press release for her business. I thought maybe I'd share some information for all that might be helpful. Download our free, expert guide to online news release writing. Find out how the experts do it with PRWeb's whitepaper "Writing Great Online News Releases" – it's packed with tips and tricks for getting the most out of your story. Plus, it's completely free! Create a free PRWeb account and download the free guide today! I learned of 101 Reasons to Buy Handmade from a MadCapHeiress Stumble. Here are just a few of the 101 Reasons to Buy Handmade to get you started, then hop on over and read the rest! What a great series to start - 101 days of Handmade. 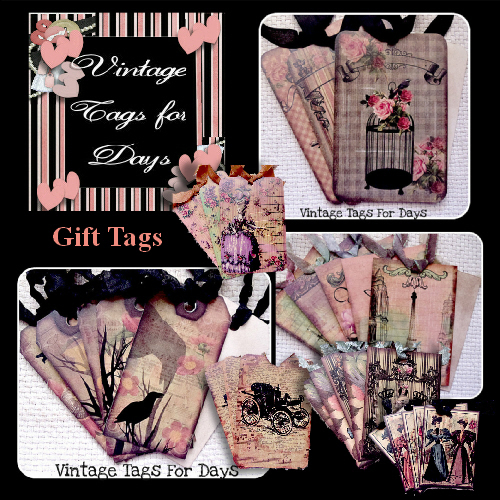 Or even print up little cards to include in your packages to customers. It's important to remember why we are a part of the handmade movement and why we should keep it going. 1. To help contribute to establishing a new economic model. 3. 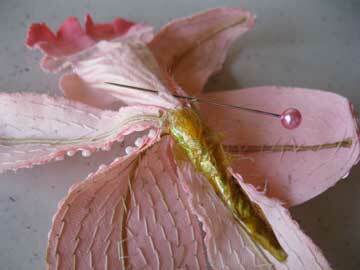 This new wave of craftspeople are using recycled materials. This is CRUCIAL. There is too much ‘stuff’ in the world already. 4. 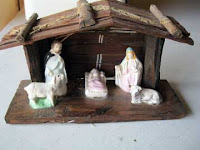 Purchase from artisans/craftspeople who ENJOY creating their wares. 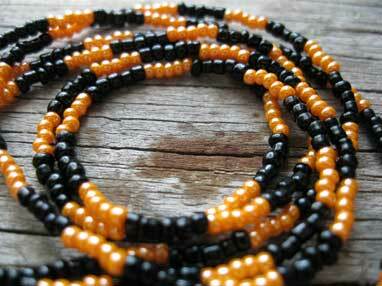 The object holds that positive energy and it spreads. 5. Support the artisan directly. The artisan needs more support for their vocation - more than most. 6. Support and building the local community. 7. 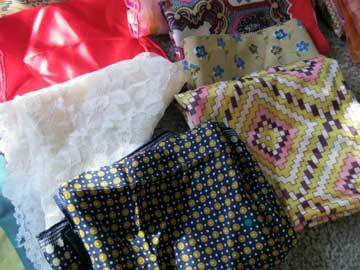 Buying from craftspeople is a conscious decision. People need to be more conscious of spending of where their hard-earned money is going, changing hands etc. This contributes to the bigger picture. 8. 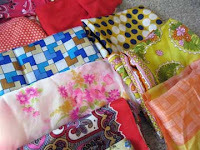 My favorite reason to buy handmade is just that - it’s handmade, which means quality, and a whole lot of love! 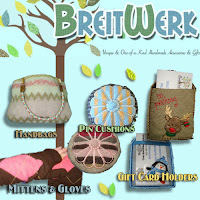 This weeks Featured Artisan is Deni - Breitwerk Accessories & Gifts. Deni has delightful creations in her shop. There is something for everyone! Come join Share the Love - Bloggers Unite! 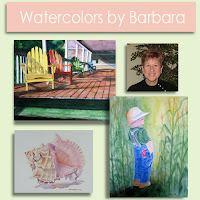 It's been a couple of weeks since I posted some treasuries and collections I've been featured in. Great opportunities to start some holiday shopping! 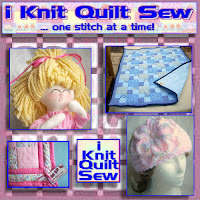 This week's Featured Artisan is Sandi Levy - I Knit Quilt Sew! 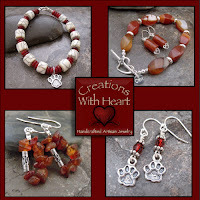 Sandy has delightful creations in here shop. Something for everyone! 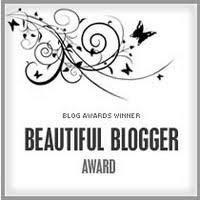 You can grab the code for your blog and join Share the Love - Bloggers Unite! My family and I recently held my grandma's estate sale. She was a minimalist and didn't have much, but I'm trying to get as much as I can from what she did have. 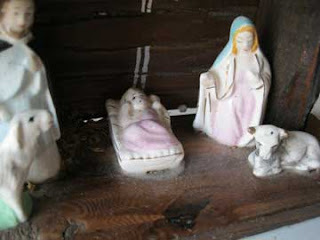 We came across an old nativity that my mother says predates her, which would be before 1956. I've looked all over to find something similar or just like it all over the Internet and have found nothing. So I thought, ask my readers! I'm usually very good at finding anything, but can't find this. There are no markings on it. The ceramic or porcelain pieces do not move, they are attached to the wood. The closest thing I found similar was a Sears Roebuck cardboard diecut (on Etsy), but this is neither diecut nor cardboard, but very similar is design with the 5 pieces and minimal look. Can anyone tell me who made these? Or how much I could sell it for? Need some blog content? 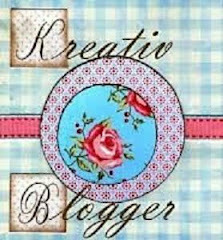 Feature an artisan, join Share the Love Bloggers Unite! EtsyBloggers: October Blog Carnival - What are your plans for Halloween? I am part of a blogging group, EtsyBloggers. 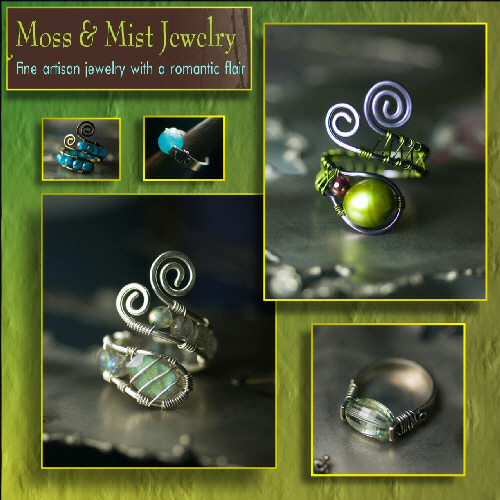 Each month we have a Carnival and featured artisan. I/We've been out of commission over the summer and now I/we're back! 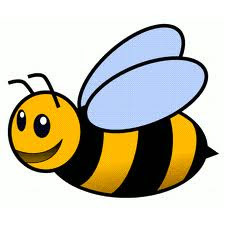 Each month a team member will present a question for the team to blog about. This is a great way to generate blog topics - especially on those days you just can't think of anything to write. So of course, the topic for October is fitting: What are your plans for Halloween? Have you made anything in your shop with Halloween colors/theme? Show it to us. My Halloween plans are the same every year. Halloween isn't the biggest holiday celebrated in our family. Since it is a holiday, we still participate. I head over to my parents house since I live in an apartment, no kids trick or treating here. I wear one of two costumes depending on the weather. It's usually a 101 Dalmations costume. I'll wear that, hop in the back of my car and hand out candy. I do that so the kiddos don't have to walk up the steep driveway and all the stairs to the front door. We also have goulash and homemade sugar cookies with frosting spider webs painted on them for dinner. I have a couple of simple, not typical items in my shop for Halloween. 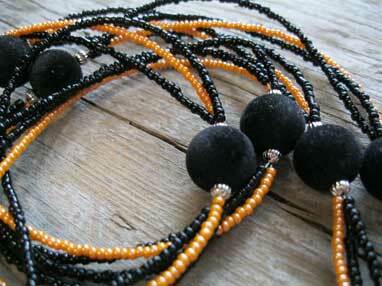 I have a Black and Orange Lanyard and Halloween Eyeglass Chain for those who want to be subtle for Halloween. 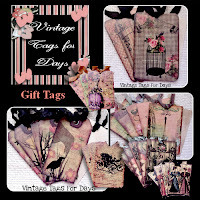 Another fabulous week of festive and fun Artfire Collections and Etsy Treasuries. Sure makes you feel good to get noticed and most importantly - found! 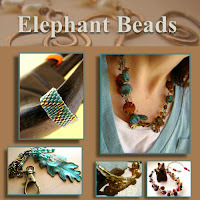 This weeks Featured Artisan is Molly Kimball - Elephant Beads! Truly unique and one of a kind creations to accessorize your wardrobe with! Join Share the Love - Blogger's Unite! 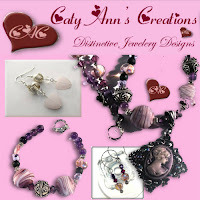 Another couple of weeks of fabulous Collections and Treasuries I'm included in - and a front page on Etsy as well! Very exciting to get that email. So much color and talent out there. I just learned Facebook will be removing page owner's Discussion Tab October 31st. Apparently, Facebook has started to notify page owners, but I have yet to be notified and found out from a Group I belong to. I wanted to share this with my readers, as I know many of you have discussion tabs with valuable information. I know I for one, have 5 discussions full of Link Love. I haven't figured out what I'm going to do. At the time of this posting, I cannot find any information about an export tool. So all discussions have to be copied and pasted if you want to save this information. 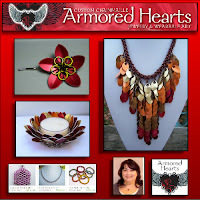 This Weeks Featured Artisan is Frann Ramales - Armored Hearts! 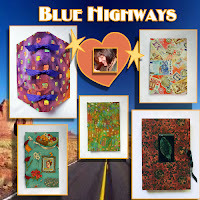 Are you On Fire for Handmade and like to feature fellow artisans? Join Us! Join Us - On Fire for Handmade! Over $400 worth of advertising. They will be doing a lot of activities to drive traffic to this event. 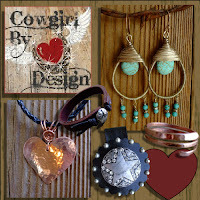 Hop on over to Indie Biz Chicks and enter for your chance to win! 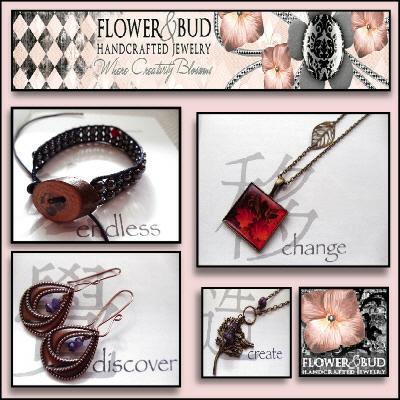 This weeks Featured Artisan is Debbi La Rue - Flower & Bud Handcrafted Jewelry! 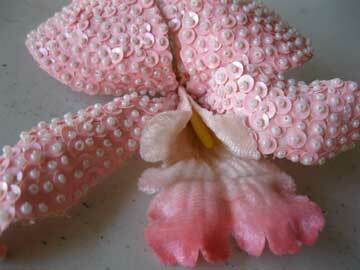 Debbie is a dear crafter friend of mine. I was so happy to see her as this week's featured artisan. 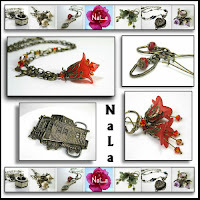 She makes beautiful pieces that I admire, but I enjoy our friendship much more! Please connect with Debbie. She's an awesome gal that I can always count on for support craft wise, but also whenever you need an ear. I'm just signing up for BlogLovin, I see it in so many places, so why not? They're asking me to paste some code into a post to validate and claim my blog. So here it goes! 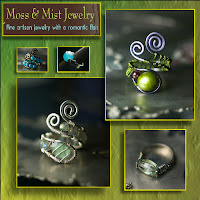 This weeks Featured Artisan is Sharri Powell - Moss and Mist! 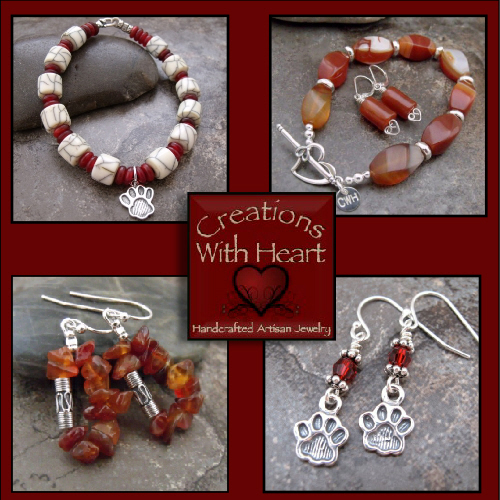 Gorgeous creations created with love. Want some active bloggers? Join Share the Love, Bloggers Unite! 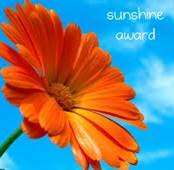 Another week to be grateful for being chosen out of so many talented handmade artisans out there to be featured in Etsy Treasuries and Artfire Collections. Hop on the Google Train. Wonder how to add a Google Plus One button to your blog? 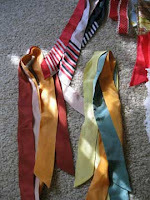 I found these instructions from BloggerSentral. This tutorial will show you how to add a Google +1 button to every blog post in a Blogger blog. It allows your readers to recommend your posts to their Google friends and contacts right from your blog post. This button will +1 the containing post, regardless the page you are at. It will work on both multi-post pages (home page, archive etc.) and individual/post page etc. You will have an option whether to include a counter or not. Go to Dashboard; Design; Edit HTML. Tick the Expand Widget Templates checkbox on top right of the code window. You can configure by changing the attributes in line 5. Select the size of button by replacing the value of size attribute with a value from the table below. You can remove the count by changing the value of count attribute from true to false. The code above positions the button on bottom left of each post. You can change the positioning if you wish. Place the button code before (instead of after). Change the float in line 4 from left to right. The code above doesn't display the button on static pages. To make it appear on static pages as well, remove the conditional tag -code line 2 and 8.